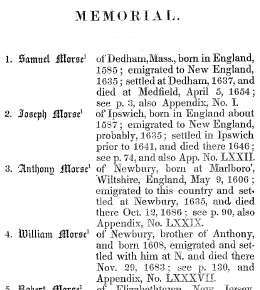 The book, "Memorial of the Morses; Containing the History of Seven Persons of the Name, who Settled in America in the Seventeenth Century, with a Catalogue of Ten Thousand of their Descendants, etc.," by Rev. 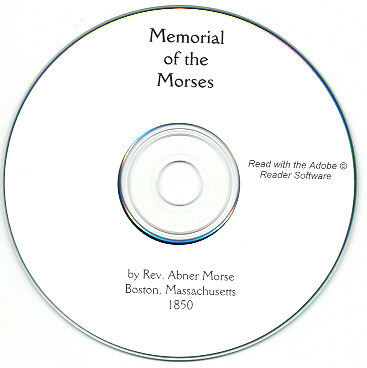 Abner Morse, A.M., Boston, Massachusetts, 1850. 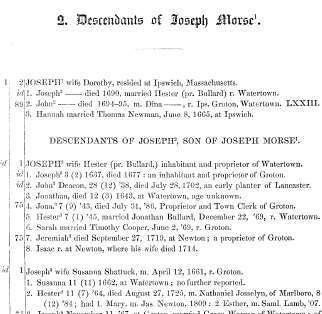 It is an early Morse / Moss Genealogy and is filled with genealogy data about the descendants & allied families of seven Morse / Moss individuals that came to America in the 17th Century. Please note: This is not a paper book, it is a scan of the original paper book into the digital Adobe PDF format, written on a CD-ROM. You read this book on your computer using the free Adobe Reader software. It is a digital version of a hard to find book. 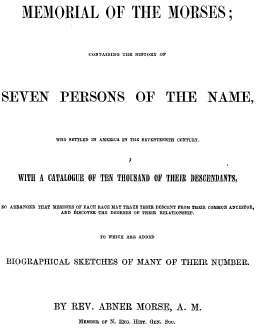 If you could find a copy of the 1850 printed book, it would be very expensive. The book is not indexed - but It can be fully searched using the Adobe search function in the Adobe Reader. The Table of Contents is linked. 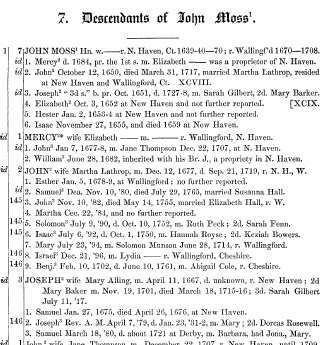 There are hundreds of Morse / Moss people listed - there are hundreds of surnames other than Morse / Moss listed (allied families). There are no illustrations. 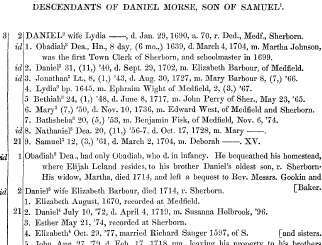 There are too many names for me to list, please take a look at the images for an idea. The book has 171 pages, and a 133 page Appendix. Please note: This is a scan of the original book converted to Adobe PDF format and written on a CD-ROM.